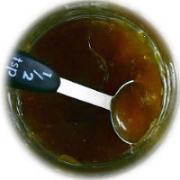 Fig Jam from Turkey is covered by Import Requirements where it is made from preserved figs. 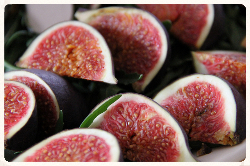 Products made from fresh figs are not covered. Fig jam (and other fig products) from Turkey are covered under import conditions regulating the level of aflatoxin in the product. The requirements apply to products that contain at least 20% fig and have been made from prepared or preserved figs such as dried figs or fig paste. What are the import conditions? The import conditions are set out in Commission Regulation 884/2014. Sampling and analysis has to be carried out before shipping and the results presented at import with a health certificate issued by the government in Turkey. On arrival in the EU the goods have to arrive at a port authorised to carry out the checks. There is a fee to pay for carrying out this work and there may be a delay while this is carried out. the health certificate is only valid for 4 months from the date of issue. Cross referencing- the identification code must be shown on and match up with the results of sampling and analysis and the health certificate. These requirements have not previously been applied to fig jam*. This requirement will be applied to consignments arriving from 1 November 2015.